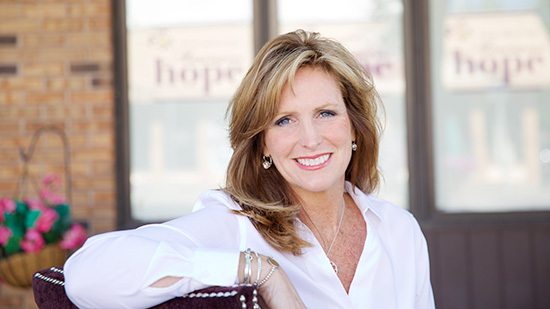 Susan Bertrand is the President and Founder of Maureen’s Hope Foundation, which she began in 2004 in memory of her sister, Maureen, who lost her battle with cancer at the young age of 31. Susan resides in Baldwinsville, NY with her husband Ron and three sons, Connor, Ronnie and Charlie. She sits on the board for the Baldwinsville Community Scholarship Foundation, as well as the Northwest Family YMCA. Past awards include the 2012 Post Standard Achievement Award, 2013 Outstanding Philanthropist awarded by the CNY Association of Fundraising Professionals and the Girls Scouts CNY Woman of Distinction Award. To learn more about Maureen’s Hope Foundation, read this article and view the photo gallery published on Syracuse.com on January 4, 2015. The mission of Maureen’s Hope Foundation is to offer practical support and assistance to people facing the challenges of a cancer diagnosis or other life altering disease. When faced with a life altering diagnosis of cancer or other disease, patients have many needs that cannot be met by the medical community. Maureen’s Hope helps meet those needs by catering to individuals on a personal level. By providing gift baskets and services that offer comfort and strength, Maureen’s Hope helps to improve their quality of life.